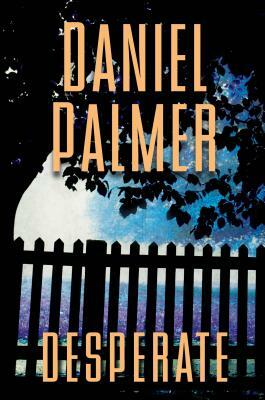 Brimming with suspense and unrelenting twists, acclaimed author Daniel Palmer's latest thriller delves into the waking nightmare of a well meaning couple whose biggest--and most ordinary--dream has gone terrifyingly awry. . .
After a heartbreaking miscarriage, they begin the long adoption process, until fate brings Lily into their lives. Young, pregnant, and homeless, Lily agrees to give her baby to Gage and Anna in exchange for financial support. It's the perfect arrangement for everyone. Seeing his wife's happiness and optimism for their new life and child, Gage begins to feel a sense of hope he thought he'd lost forever. But something isn't right once Lily enters their lives. At work and at home, Gage is being sabotaged, first in subtle ways, then things take a more sinister turn. Every attempt he makes to uncover the truth only drives a wedge between him and Anna. Even as he's propelled toward an unthinkable choice to save his marriage and his job, Gage discovers that the most chilling revelations are still to come. . .